From Puerto Princesa, the capital city of Palawan, you have to travel for close to four hours in a mountainous and slippery path before you reach the Tula-Tula Elementary School in Brgy. Apilan in Brooke’s Point, Palawan. It is a school situated on top of a mountain. Its students need to walk an hour and a half, passing rivers and the dangers of wild animals just to go to school. Most of them do not take breakfast before leaving their homes and each of them only owns one pencil. Even papers are scarce and their classrooms are not conducive for learning. One classroom accommodates three classes with sawali wood dividing each class. The noise from one class distracts other classes. Some students are also seated on benches instead of having arm chairs. Recently, TV Patrol and Bantay Kalikasan Palawan went to Tula-Tula elementary school to hold an outreach project. 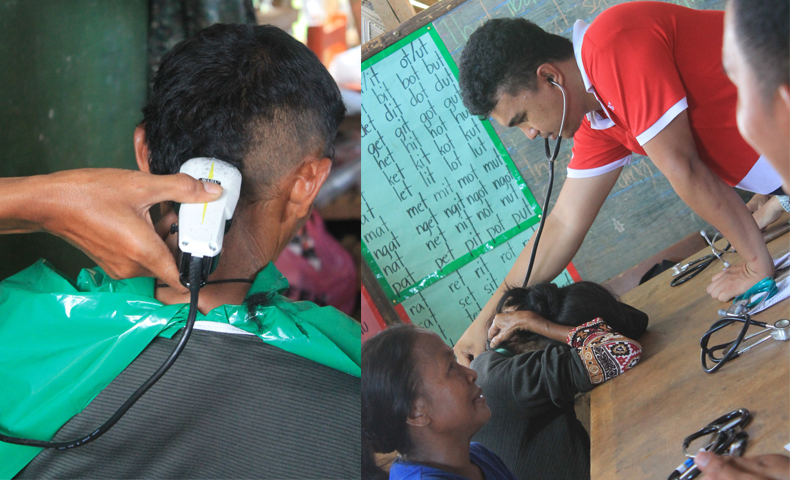 Among the activities are medical and dental mission, gift giving, distribution of vegetable seeds, dog vaccination for anti-rabies, blood smearing for malaria, and free hair cut. The school also received a donation of a television set and solar panel, books, and chairs. Two classrooms were also repaired with its restroom and hand washing area, and chairs. Aside from those, two classrooms are also being constructed. The outreach activity was done in celebration of TV Patrol’s 30th anniversary and Bayan Mo iPatrol Mo’s 10th year. 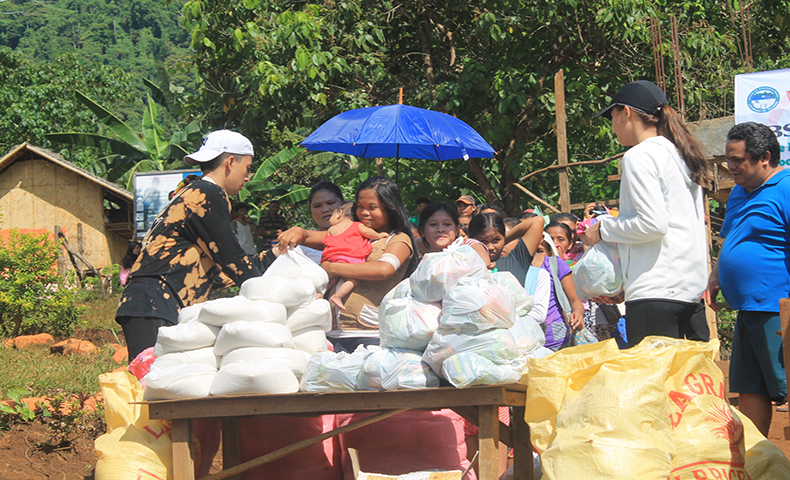 It aimed to help, serve, and reach out to the indigenous communities of Pala’wan who do not get basic services from the government as they are in far flung areas and aloof from other communities. 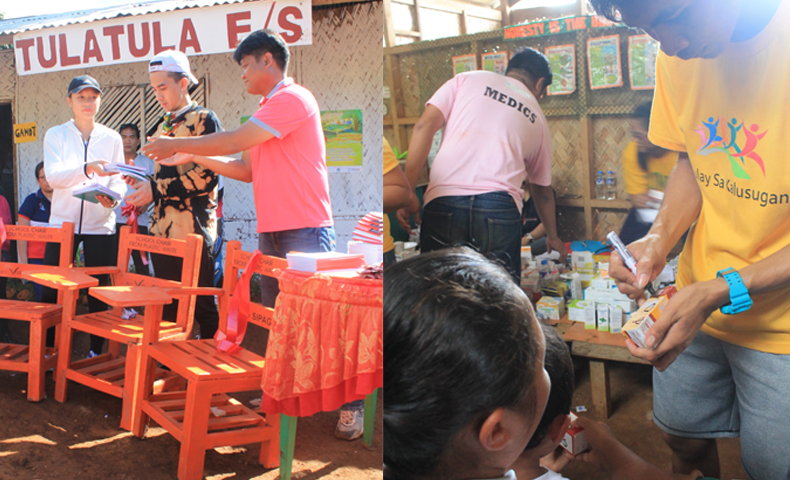 A total of 157 people from the community composed of teachers, students, and residents, benefitted from the outreach.